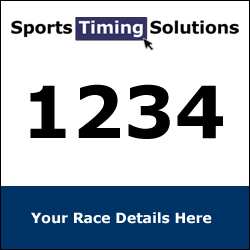 We are pleased to announce the all new revolutionary disposable Race Number Timing Chip making it easier to allocate a disposable electronic timing chip for your runners along with their race number. By utilising our pro number tag there is no need to attach anything to the trainer and allows you to simply send out your race numbers in advance. Both the race number and the timing chip are disposable and there is nothing to collect in at the end of a race. 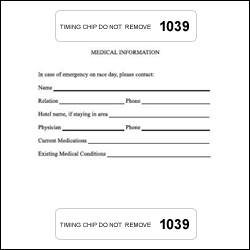 If you are using the single use Pro Number Tag as a timing device for your event please ensure the following instructions are used in order to receive an accurate time. This timing chip is completely disposable along with the race number. There is nothing to fix to the trainers and nothing to collect in at the end of the race. These are the simplest and most convenient of timing chips to be used at any race. Failure to attach your race number may results in not receiving any race times! !